The Texas Department of Health and Human Services will soon start enforcing a new state law that could shut down the Women's Health Program, which provides health care to more than impoverished 130,000 women. Last year, the Republican-controlled Legislature passed a law making it illegal for the state to provide Medicaid funds to a doctor or clinic that is affiliated with an organization that provides elective abortions, even if the institution receiving the money does not provide them. The rule is slated to take effect March 14. Lawmakers who supported the bill bragged that it would keep government funds from going to Planned Parenthood clinics that provide family planning and health services, though not abortions. The new state law, however, contradicts a federal law that says the state cannot pick and choose which qualified health care providers receive state funding, according to a letter from Cindy Mann, the director of the federal Centers for Medicare and Medicaid Services. Mann said that Texas could lose federal funding for the Women's Health Program if the rule is enforced. A new Texas law makes it illegal for the state to provide Medicaid funds to clinics, like Planned Parenthood, that provide elective abortions. That rule could end the Women's Health Program which provides health care, not abortions to women in need. "This is yet another intrusion into state's rights, and I am disappointed that the administration would jeopardize women's health to score political points with the extreme left," State Sen. Jane Nelson said. "If Planned Parenthood truly cared about women’s health would join Governor Perry and other Texas officials in urging Obama administration to continue the Women’s Health program," said Catherine Frazier, a spokeswoman for Gov. Rick Perry. Planned Parenthood, which says 97 percent of its health services are not related to abortions, condemned the state's decision to move ahead with the rule, knowing that it could likely end the program. The Legislature anticipated the possible conflict and discussed whether the law would shut down the $40 million program. But Republican lawmakers argued that no taxpayer money should go to any organization that performs elective abortions under any circumstances. The state agency said it had no choice but to enforce the rule. 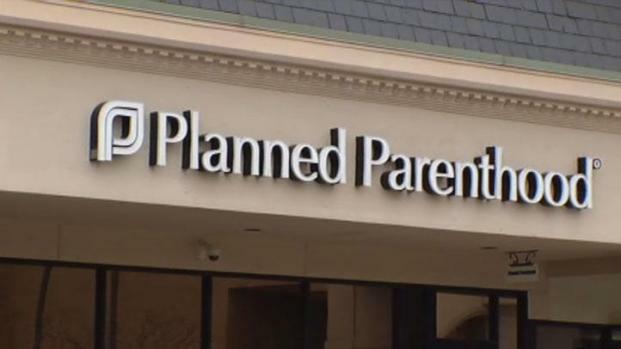 Planned Parenthood of North Texas estimates 6,800 women used its services last year. "Texas women and Texas taxpayers need this program," Planned Parenthood said in a statement. "The Medicaid Women's Health Program saves lives, prevents unintended pregnancies and saves taxpayer dollars. For many women, Medicaid WHP is their only source of health care. Texas already leads the nation in the number of uninsured families." North Texas women who rely on the clinics say they are nervous about the new rules. "At this point, getting preventative care like this is going to be a luxury," said Alexis Lohse, a mother of two. "I will have to try and make room in my budget. I don’t know where I can find affordable health care." Perry’s office said the program funds other clinics and that Planned Parenthood makes up a small percentage of the providers.